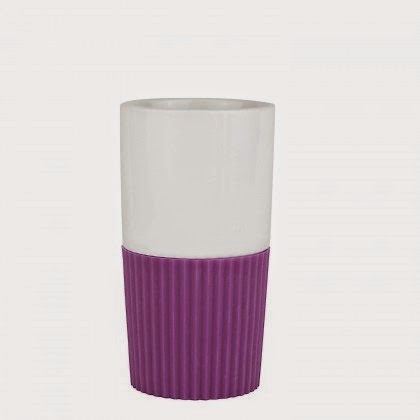 Enjoy a more intimate hot drink with friends in these scrumptious Confetti mugs from Zone Denmark. 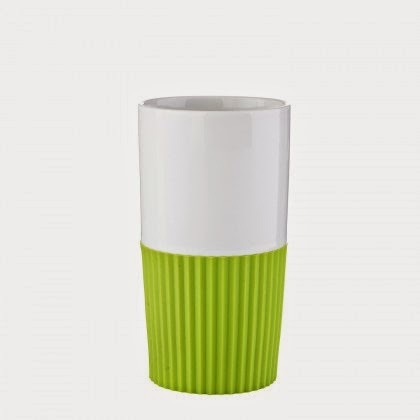 Featuring a modern handle-less design, these part-ceramic-part-silicone mugs bring vivid colour and a dash of excitement to your dining table. 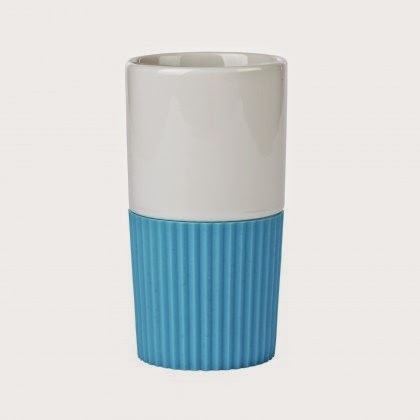 These designer mugs and have white ceramic bodies with a chunky & tactile, ridged silicone sleeve covering the bottom half, providing heaps of grip and insulation. 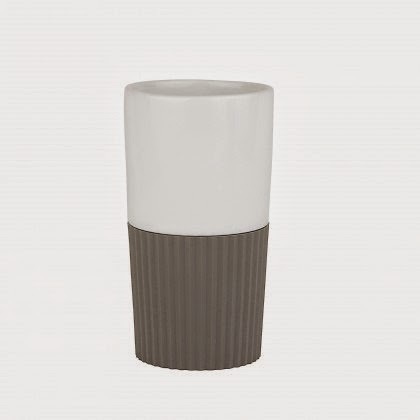 To make a real impression at dinner time, why not combine these mugs with the matching Confetti espresso mugs that we have in our collection? 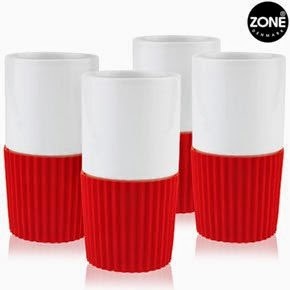 The Zone Confetti mugs without handles come in a set of 4 in a nice gift pack. A great gift for yourself or a special friend.